Ronen's Opening Survey: Classical King's Indian with 7 … exd4 (3 part series). E93: King's Indian: orthodox variation. Ronen's show "Opening Survey" follows carefully the most recent trends in the chess world. Lately the King's Indian has been suffering big time, with GM Bacrot scoring 0 out 3 in the first rounds of the Biel Chess Festival, losing all his King's Indian games; it's time for our opening expert GM Ronen Har-Zvi to suggest ideas and opinions on this important piece of chess opening theory. In this new series Ronen will address the classical King's Indian with a more dynamic approach, opening the center and playing fast: Kramnik scored a fantastic win in Dortmund against Jan Gustafsson this year with the variation Ronen is taking in consideration in this series. Let's try and keep the King's Indian alive, with GM Ronen Har-Zvi! Ronen's Opening Survey: Classical King's Indian with 7 … exd4 (3 part series). E93: King's Indian: orthodox variation. Ronen's show "Opening Survey" follows carefully the most recent trends in the chess world. Lately the King's Indian has been suffering big time, with GM Bacrot scoring 0 out 3 in the first rounds of the Biel Chess Festival, losing all his King's Indian games; it's time for our opening expert GM Ronen Har-Zvi to suggest ideas and opinions on this important piece of chess opening theory. In this new series Ronen will address the classical King's Indian with a more dynamic approach, opening the center and playing fast: Kramnik scored a fantastic win in Dortmund against Jan Gustafsson this year with the variation Ronen is taking in consideration in this series. 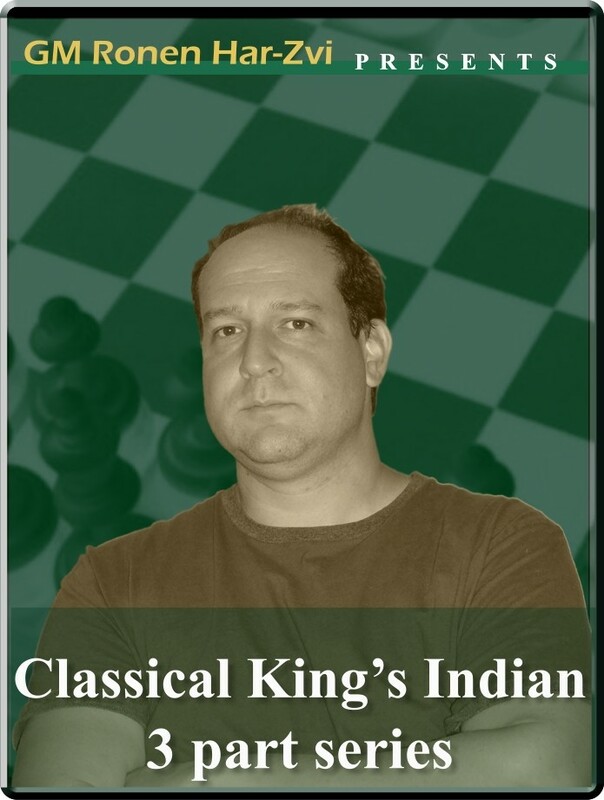 Let's try and keep the King's Indian alive, with GM Ronen Har-Zvi!